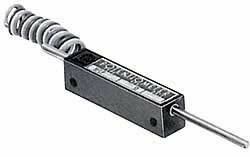 LCP8 is our smallest linear motion potentiometer. Available in 10 or 12 mm stroke length. Includes 6" insulated wire leads.